Starting a cannabis business is thrilling and treacherous all at the same time. As an aspiring cannabis retailer or dispensary owner, you will have the exciting opportunity to trailblaze a growing industry. But there are many potential pitfalls that await. From getting the licensing application right, to finding a qualified location, stocking the shelves and staying compliant to avoid expensive legal trouble, a cannabis business owner has a lot to grapple with. How to open a dispensary. From successfully applying for a license to constructing the perfect dispensary, Cova will walk aspiring retailers through the basics. What you need to include in your business plan. A cannabis dispensary business plan is vital for cannabis licensing, securing outside investment and guiding you through your journey. Cova will outline what you have to consider and how to address them during this session. A realistic understanding of the key costs of opening a dispensary. Despite the massive growth of the legal and medical cannabis industries, data on start-up costs and profit margins can be hard to find or expensive to get your hands on. 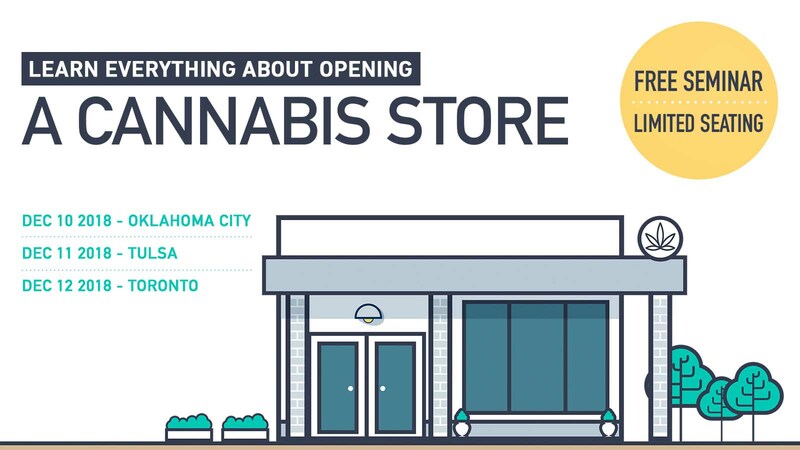 Cova has the numbers you need to understand the true cost of opening a cannabis dispensary. The basics of cannabis compliance and how it applies to running a dispensary. Compliance is how the market is monitored and the community is protected. But it’s also tedious and incredibly expensive to get wrong. Cova will walk through cannabis compliance requirements and offer real solutions to make being compliant easier. How to handle taxes at your dispensary. Like any other business, you’ll be responsible for taxes. In this seminar, you’ll learn what taxes apply to your cannabis business, how they are collected and how to avoid tax compliance issues in a cash-based business. How to create a beautiful and functional experience for customers. Cannabis customers are a sophisticated and spendy bunch, with the average transaction amount ranging from $60 to $100. They expect and deserve an elevated customer experience. Cova will show you how to deliver it. Best practices for running a dispensary. Cova will combine its 20 years of retail experience with powerful insights from cannabis stakeholders to teach you the best practices for running a dispensary. Metrics you need to measure to run a successful dispensary. A retail store gathers useful data all day long, but the trick is knowing how to turn raw data into actionable insights about your business. Cova will show you tools to make this easier than ever. Building a loyal and competent team. Building a solid team takes more than hiring for the right skills. Learn how to build morale, conduct thorough vetting and more. Tips to maximize profit and stand out from the competition. Find out how to use your store’s data to improve your bottom line and beat out the competition -- a small business owner’s dream. You don’t have to hire expensive consultants to learn how to open and run a cannabis dispensary. Get the same information for free in a single day, all you have to do is RSVP! All Content ©2017 Cova. All rights reserved. We elevate your dispensary experience.